Based in Charlotte, Belk is the largest privately held department store in the USA with more than 300 stores and annual sales of $3.8 billion. The Association for Financial Professionals (AFP) and Wachovia recently awarded Belk the 2008 AFP Pinnacle Award Grand Prize Winner. The Grand Prize recognizes innovative cash management solutions designed to solve complex treasury and financial management challenges. Belk won the Risk category for the retailer’s implementation of a risk mitigation program that facilitated change across the enterprise. 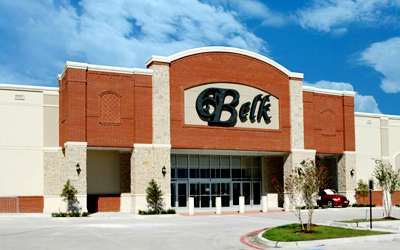 Learn more about Belk’s award-winning risk mitigation program at http://www.prnewswire.com/cgi-bin/stories.pl?ACCT=104&STORY=/www/story/10-20-2008/0004907332&EDATE=.